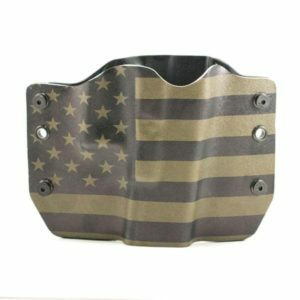 CUSTOM GUN HOLSTERS WITHIN A HOUR! First, there are some very good reasons why a carry gun should always be in a holster unless you are in the act of shooting it. In our view, there are three critical functions that a proper holster performs. First, a holster protects the trigger, which helps lower the risk of negligent discharge. 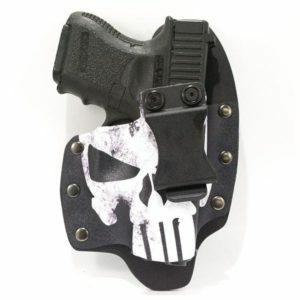 Second, a holster maintains the position of your handgun for quick and consistent access. Third, a holster helps ensure that your gun remains safely in your possession. When carrying a gun on your belt line, a good holster accomplishes all three objectives regardless of whether or not the holster is an active-retention design. It will cover the trigger, preventing hands or other objects from interfering with the trigger. It will keep the gun positioned exactly where you expect it. The combination of internal friction will help prevent your handgun from falling out, or in the case of inside the waistband carry, down your pants. So the big question is what holster is right for me? this is a very difficult question to answer because there are so many gun sizes and types, and many different body types. So let’s talk about belt carry. You have many differing positions. You have appendix carry that speaks for itself, but the most common is the 3-4-6 O’clock positions on your belt. Most serious conceal carry people have a draw full of holsters but we at The Tactical Store have teamed up with Bullseye holsters to bring us the ability to create custom gun holsters and make you a holster to fit almost any gun with many design styles to choose from. 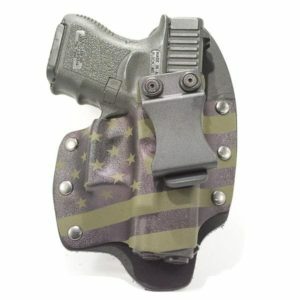 Te Tactical Store offers Hybrid holsters that are drum dried leather – Kydex we find these to be very comfortable with the leather up against your skin. 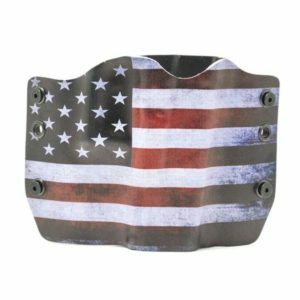 We also offer outside the waistband holster specifically designed to ride very close to the body for maximum concealment. When you get a chance please stop in The Tactical Store to get you the best holster for your weapon of choice.